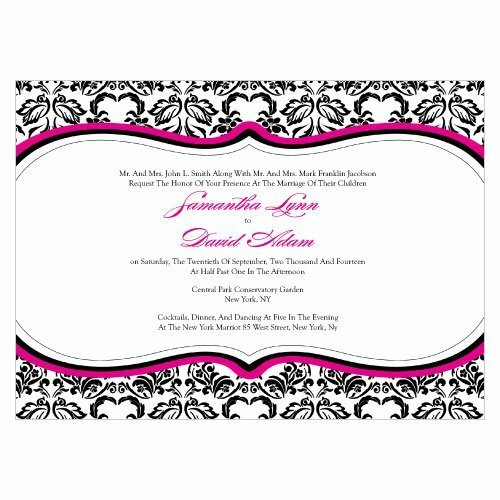 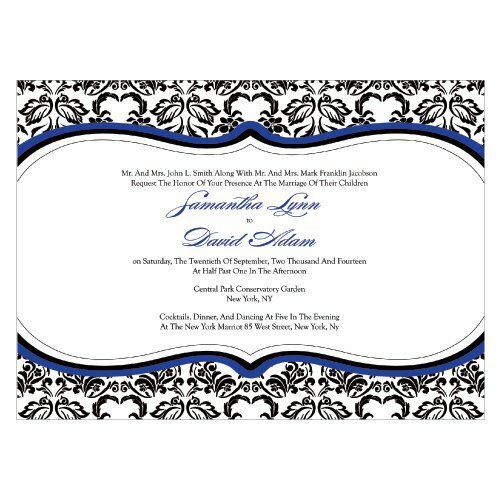 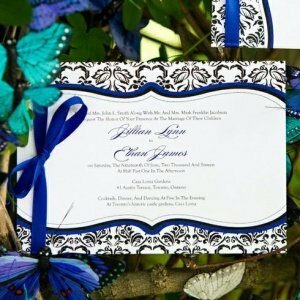 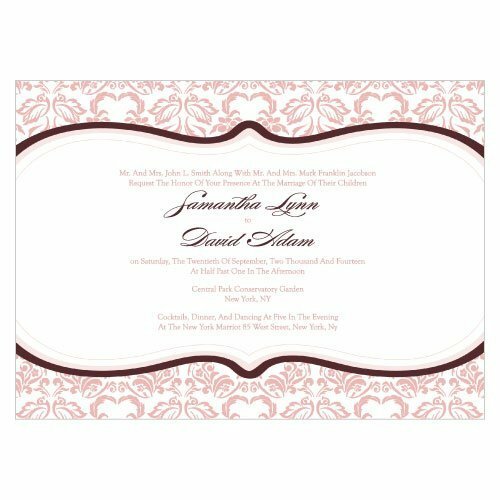 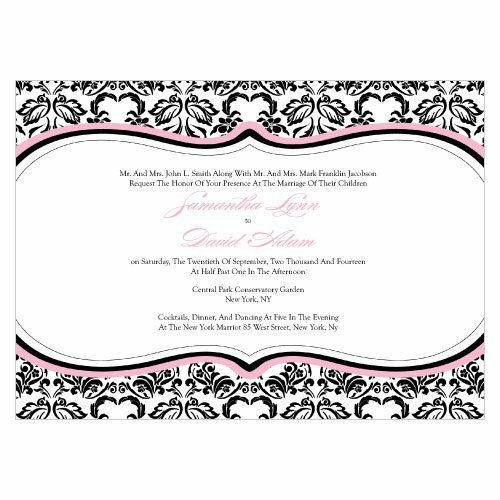 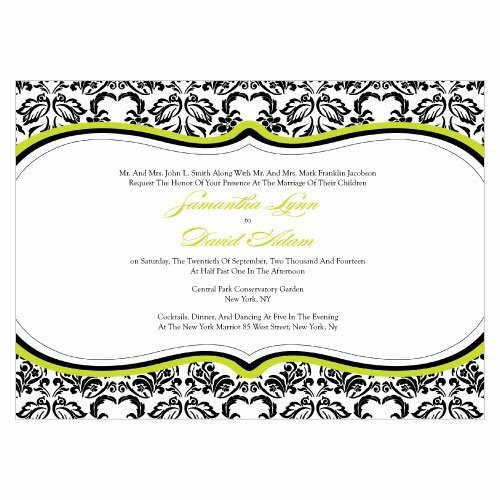 SHARE With a unique horizontal display and a bold damask border, these custom invitations are sure to be one of a kind! 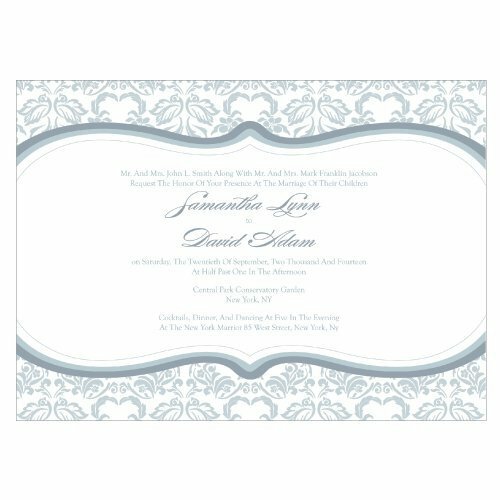 The 7" by 5" invitations are flat printed using digital technology on 100 lb smooth card stock and arrive with brilliant white A7 announcement envelopes. Use our suggested phrases or create distinct wording that's all your own. At first glance, our bold damask design will catch the eye of friends and family. 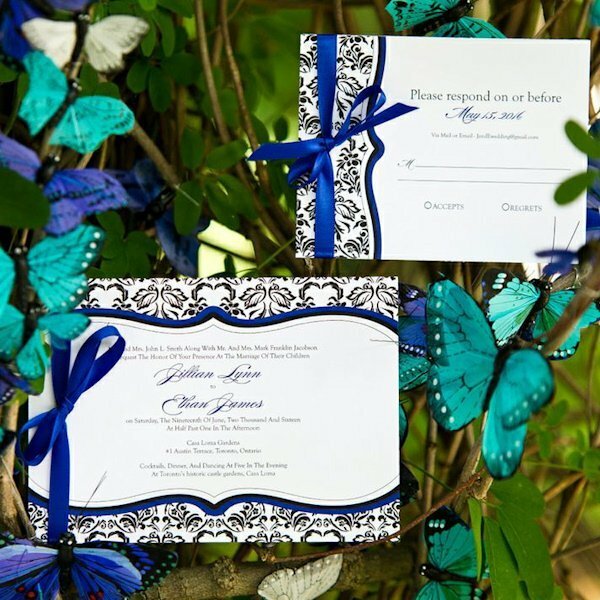 When they take a closer look, the design will unveil a pair of lovebirds hidden among flowers and hearts. After placing your order, we will email you a digital proof of what the invitation will look like. 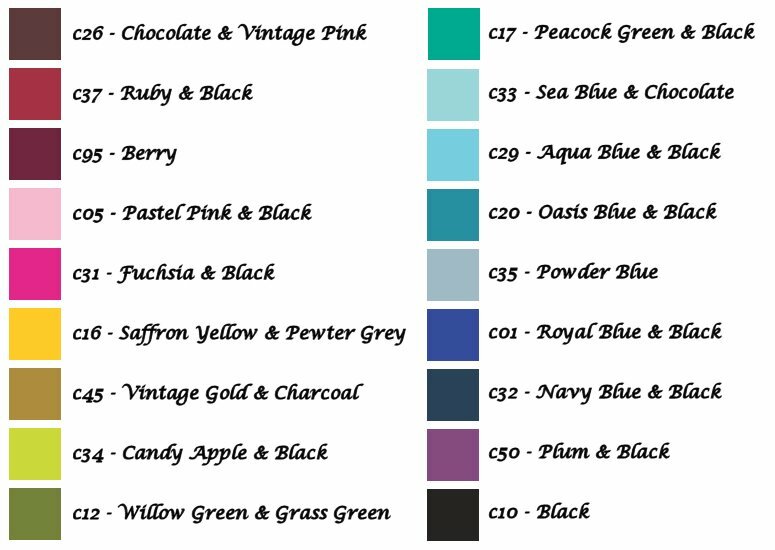 Your order WILL NOT be processed until we receive your written approval, so please be sure to submit a valid email address during checkout.